For the past 2.5 years Cassandra Clare has shared lots of exciting information about the characters in her upcoming The Dark Artifices trilogy and today she has introduced her fans to two completely new characters. 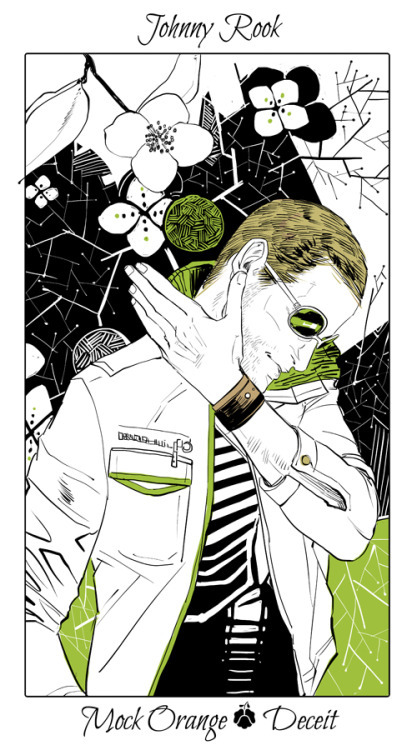 The problem is that Cassandra Jean has mostly been drawing secret or unknown characters from TDA (which has the largest cast of any book I’ve ever written, yikes.) I can’t post some of them, but here’s a few to wonder about. Doesn’t Cameron look like a cutie and Johnny like a badass rock star? 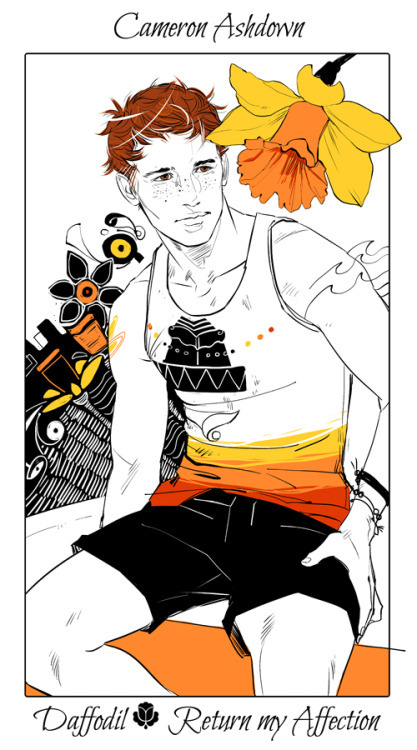 Some fans think that Cameron could be Emma’s ginger boyfriend who she is dating at the beginning of Lady Midnight. Non scherziamo… 2015??????? a malapena riesco ad aspettare la prossima notizia come potete pretendere che io aspetti un anno intero. Wait…….. Didn’t Sophie from TDA take Ashdown as her Shadowhunter name when Ascended…??? Guys……. What is happening here…..?! I just checked both the hard back version of clockwork princess and did a search in the kindle version. Ashdown is not mentioned at all. So no. When Sophie finished the ceremony Charlotte said to her “I name you Sophia Shadowhunter after Jonathan Shadowhunter.” Now whether that’s the actual name she took or just what they called her for becoming Nephilim I don’t know but she probably didnt take an actual name as she was going to marry Gideon lightwood anyway. Maybe cassandra clare answered this question and the name question as far as Sophie went later on after the book came out I don’t remember. But we know simon will be taking an unused name when he becomes a Shadowhunter in the Shadowhunter academy short stories. You’re right though. It wasn’t ever mentioned in CP2, but Cassie did say that the family tree was a “found” item and that it isn’t necessarily accurate. He could be Fredrick Ashdown descendant. Otherside Sophie could choose Ashdown, because of Ashdown surname was died off. Sophie children carried the Lightwood name, so Ashdown died off again with Sophie. Maybe Cameron is a new Shadowhunter, who ascended with Simon and he picked the name Ashdown. Who is Fredrick Ashdown? I think it is still a possibility that he could be somehow related to Sophie. Because Cassie herself said that the family tree isn’t fully correct. He was one of the Shadowhunters that raided de Quincey’s house in Clockwork Angel. There is no relation to Sophie. I asked Cassie and apparently the copyeditor changed Sophie’s Shadowhunter name to just ‘Shadowhunter’. I’m calling it now Johnny Rook, warlock. for book review, extras, and merchandise!